Craft Connector App celebrates crafters from all over the nation, while giving you the ability to explore and taste what they have poured their hearts into, all while raising money for nonprofits in your community. Enjoy over 50 FREE beers for only $25, while supporting your favorite nonprofit! 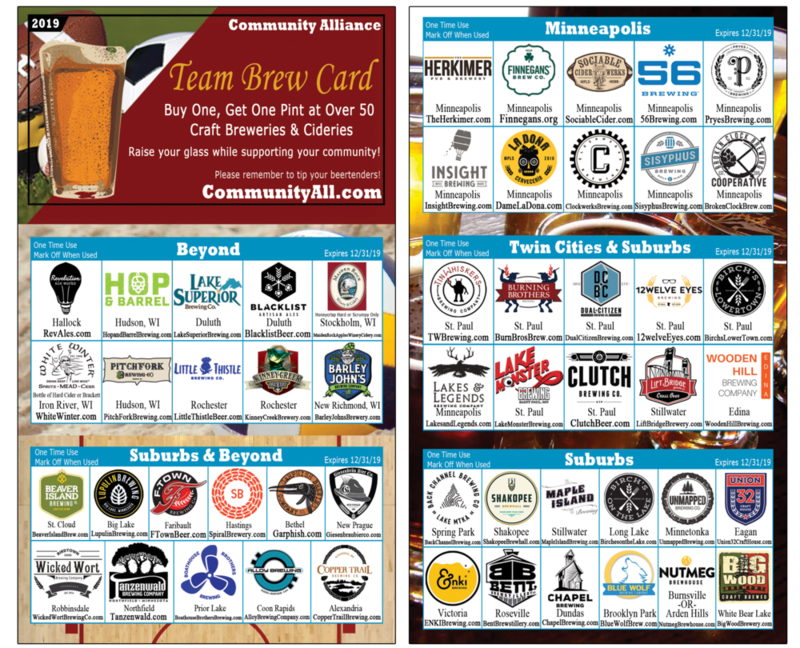 The Team Brew Card offers a buy one - get one pint at over 50 local breweries! The card is a tri-fold business card, so it fits in your wallet. The new 2019 card is valid 1/1/19 - 12/31/19. 50% of proceeds are donated to the nonprofit of your choice, along with an additional $1 to Minnesota Parks and Rec Foundation. 1. Present the Team Brew Card when you order at one of our brewery partners. 2. Enjoy a buy one get one pint, while supporting TWO great causes! 3. Share your local brew experience with others!